Can’t believe it’s a brand new year, AGAIN! 2018 just flew by! I’m still undercover, working on more surprise paintings. So in the meantime I’d like to share some wonderful words of wisdom from Andy Rooney (1919-2011), who had the gift of saying A LOT with very few words. He was best known for his weekly broadcast “A Few Minutes with Andy Rooney“, a part of the CBS News program 60 Minutes from 1978 to 2011. I’ve learned….That the best classroom in the world is at the feet of an elderly person. I’ve learned….That when you’re in love, it shows. I’ve learned….That just one person saying to me, “You’ve made my day!” makes my day. I’ve learned….That having a child fall asleep in your arms is one of the most peaceful feelings in the world. I’ve learned….That being kind is more important than being right. I’ve learned….That you should never say no to a gift from a child. I’ve learned….That I can always pray for someone when I don’t have the strength to help him or her in some other way. I’ve learned….That no matter how serious your life requires you to be, everyone needs a friend to act goofy with. I’ve learned….That sometimes all a person needs is a hand to hold and a heart to understand. I’ve learned….That simple walks with my father around the block on summer nights when I was a child did wonders for me as an adult. I’ve learned….That life is like a roll of toilet paper. The closer it gets to the end, the faster it goes. I’ve learned….That we should be glad God doesn’t give us everything we ask for. I’ve learned….That money doesn’t buy class. I’ve learned….That it’s those small daily happenings that make life so spectacular. I’ve learned….That under everyone’s hard shell is someone who wants to be appreciated and loved. This entry was posted on January 4, 2019 at 9:27 PM and is filed under Original Oil Paintings. You can follow any responses to this entry through the RSS 2.0 feed. You can leave a response, or trackback from your own site. 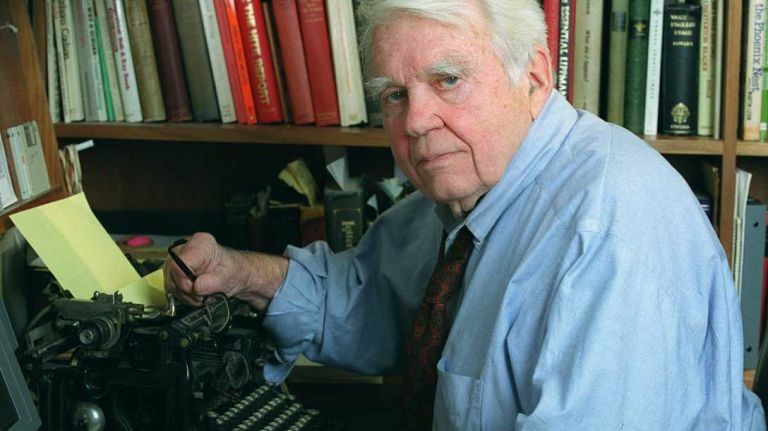 Thank you for Andy Rooney’s thoughts. They resonate with everyone and was nice ending the day reading them. God Bless you Mikki and Happy New Year! Thank you for this wonder words of wisdom!! It is something worth sharing. I want that thank you for all the lovely emails I received from you and the teaching in 2018! You are such an great artist. I want to wish you a 2019 of abundance, joy, peace and love! And happy painting! May God bless you and keep you! Happy New Year Mikki! Thanks for sharing the quotes – good thoughts to start the year. Happy New Year, Mikki! You are a breath of fresh air! What great reminders for daily life! May you be blessed. Hello Mikki..u r such an amazing person ..ur poems are so genuine like u are writing ur heart on paper..wish u all the vry best in all u do..if i dont hav dioxazine purple can i use alizarin crimson and ultramarine blue in its place ?and in Mud what is proportion of ultramarine blue and alizarin crimson? And is it french ultramarine blue or just ultramarine blue in mud?…thanks for ir beautiful posts! Thanks a lot Mikki..so u say MUD u talk about in your blog is 2parts French Ultramarine Blue and 1 part Alizarin Crimson? Wishing you a very Happy & Fulfilling New Year during these challenging times. May you continue painting your wonderful art that is so uplifting and filled with joy. Bless you and your shelter kitties in 2019. Yes. I used to listen to him with my dad. Thanks for sharing .. so true…..